With the 2016-17 season, Vasily Petrenko celebrates 10 years as chief conductor of the orchestra and will be doing so in fine style with performances of all of Beethoven's symphonies, in chronological order, performed across four concerts. In all Petrenko will conduct 22 concerts during the season including Shostakovich’s Symphony No. 12: The Year 1917, Prokofiev’s Piano Concerto No. 3 with Macedonian pianist Simon Trpčeski, and two all-Russian programmes with Russian pianist Daniil Trifonov, giving his only UK performances outside London this season. 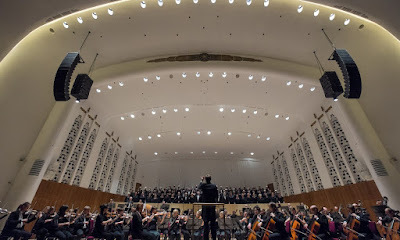 Other highlights include the Liverpool premiere of Emily Howard's Torus: Concerto for Orchestra, a co-commission with the BBC Proms, and John Nelson conducting Berlioz' La Damnation de Faust with Toby Spence. Other Berlioz including Petrenko conducting the Symphonie Fantastique and Andrew Manze conducting Harald in Italy with Lawrence Power. There will be a special celebration of the 50th anniversary of Liverpool's Metropolitan Cathedral with the Royal Liverpool Philharmonic Choir, James MacMillan and Ian Bostridge. Andrew Manze, who is principal guest conductor, will also be conducting Beethoven's Violin Concerto with James Ehnes (who is Artist in Residence), Sibelius and RVW symphonies.